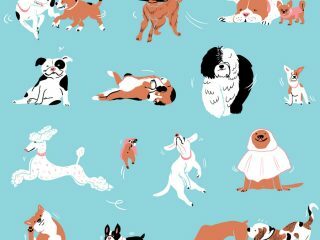 Vancouver Loves Their Dogs, an illustrated blog. I love dogs. It’s not a secret. In and around Vancouver, I kept seeing sightings of dogs and owners that warmed my heart, made me swivel in my bus seat, stopping dead in the middle of the sidewalk, etc, etc. You get the picture. So In 2016, I started a blog called Vancouver Loves Their Dogs, a dedication to all those dogs that I see, along with the people who love them.